Sole proprietorship refers to the individual ownership of a business. Here one individual is at the helm taking all the important policy decisions. There is a single chain of command. Also, the responsibility to pay taxes rests on the sole owner’s shoulders. Let us discuss sole proprietorship in detail. A sole proprietorship signifies the simplest form of business that can be owned in Canada. A single owner has all the reigns under his command in this form of business. Under the Canadian law, the owner and the business are considered one single entity. So, these two entities are viewed as one in the eyes of the law and proceedings are carried out accordingly. Secondly, the owner owns all the assets and resources of the business. Most importantly, the sole proprietor cannot claim employee status under his/her own business. He shall not receive a salary from the business. Instead, he can earn a profit from the business operations. So, the owner cannot be the employee in case of sole proprietorship. Now let us discuss the advantages and disadvantages in case of sole proprietorship. Sole ownership follows simple business plan. Owner can claim majority of the profits. Freedom to change policies and business practices. Most suitable for startups and low budget individuals. Business and individual considered one single entity. Single owner is responsible for handling every task related to business model. If business is sued, owner is responsible and sued directly. If debts exceed collaterals and the business is on the verge of bankruptcy, the owner has to pay from personal assets. Assets and property of the owner are vulnerable to potential claims and debt issues related to the business. In case you have to transfer the sole proprietorship, you have only one option – sell the entire business with complete rights to the buyer. Naturally, sole proprietorship comes under the jurisdiction of tax filing. There are many important tax considerations if you happen to own a sole proprietorship. The entire profit from the business is included in the personal income tax of the business owner. On the other hand, if the business runs into losses, the owner can deduct the amount equivalent to the loss from his net income in the respective year. This will determine the flow of funds from the owner’s personal wealth and lower the personal income tax. Also, in case of profits, the net amount is taxed at a higher income tax rate compared to the corporate income tax. So, in a way, it is better to lose some money in the early years of your business so that your overall income tax is lower. And when you run into profits, you can go ahead and file the taxes under the corporate tax. Considering the taxing times, running a business can be quite difficult. We can help you navigate the murky waters of filing business tax returns. Our experienced lawyers have helped large and small businesses file income tax easily. We analyze the tax implications of your business personally and advise the best possible tax route. If you own a sole proprietorship or a large corporation, let us guide you on Filing tax returns. Partnership can be defined formally by an express agreement. Or if two people work in a manner similar to partnership, they can be called business partners. Partners are mutually responsible for the business debts and activities of other partners. Partners collectively own all the business assets of the concerned business. Partnerships are basically of two types. First, general partnerships where profit and loss from the business is shared by the partners. Second is the limited partnership where the limited partners are not responsible for the daily operations but have to share the loss/profit as per their initial share agreement. Business partners are not employees working in the business. Thus, they are not provided with employment insurance in case the business fails. There is no salary for the partners. Instead, they earn from the profit of the business. Partnership agreement is important before going into a partnership business. This will help outline the profit sharing issues that may arise later. Also, this agreement can be used to define the legal responsibilities of all the partners. Tax implications of the partnership can also be included in the partnership agreement. Partnership helps combine skills and resources of two or more different people and provides them with one common platform. Partnership can be established easily if the agreement is accepted peacefully. The registration for a partnership is quiet easy as well. All the terms and conditions of the partnership must be agreed upon by all the members. If the partnership business suffers loss and fails, the losses incurred from the business can be specified in the personal income. This can be used to reduce the annual taxes you have to pay. Partnership is not an independent legal entity. The partners are personally responsible for the tax and debt obligations of the partnership. Every partner has to share the responsibility of the actions taken by the other partners. So, one bad decision by a partner is reflected on the entire team. Partnership is not eternal like the corporation. In case of death of one partner, the partnership ceases to exist. The remaining partners have to again establish a new partnership with a new agreement. Partnership not being a legal entity makes it difficult to sell or buy the share in the partnership. The entire agreement has to be renegotiated and rewritten in order to buy or sell share in the partnership. The disputes arising out of a partnership are covered under the initial agreement. In case, any dispute arises, there is no act that defines the rules pertaining to solving partnership disagreements. Everything depends on the initial agreement entered into by the partners. Partnership has many tax implications. This business model is not considered an independent legal entity. So, it cannot file tax on its own like a corporation. The tax owed by a partnership is to be paid by the partners. There is no separate tax form for the partnership as a company. The personal income tax form of every partner contains the tax to be filed on behalf of the partnership. Also, each partner has to pay tax on the basis of individual tax rate applicable to them. In case the partnership has suffered loss or failed, the business partners can show this loss in their personal income. This lowers the annual personal tax of individuals in the partnership. Another important point worth noting is that partnerships are not legal entities and thus they cannot benefit from the tax deferral and income splitting concepts. Partnerships have to be entered into after careful negotiations. This business model is the most widely used. It is also the most disputed business model. Everything comes down to the partnership agreement. An experienced lawyer can guide you through the negotiation phase of a partnership agreement. Choose our lawyers to help you draft the most profitable partnership agreement. One of the most preferred ways to start and run a business is registering a corporation. Unlike sole proprietorship and business partnerships, corporations are different in legal aspects. They are independent legal entities and their owners are not connected legally to the corporation. As a result, corporations are responsible for themselves for handling their lawsuits, taxes and assets. The owners do not represent the assets and taxes applied to their respective corporation. A Corporation has owners, officers, shareholders, directors, all of whom run the corporation. However they have limited responsibility pertaining to the corporation. 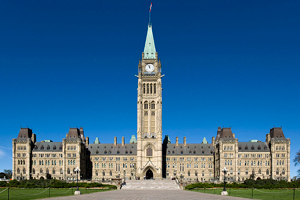 Legally, these people are not held responsible when it comes to the corporation’s legal obligations including taxes and assets the exception being taxes which are collected on behalf of Revenue Canada or other agency for example sales tax, payroll deduction, WSIB deductions for which directors can be responsible but in any event shareholders are not responsible. So, it is vital to add words such as Incorporation, Limited or Corporation to the name of the corporation. This can be done in abbreviated form as well. Such a name signifies that the owners do not have any legal binding or responsibility in the matters pertaining to the corporation. Corporations are independent in their operations. Legally, it is an entity in itself. Shares are issued to the public and shareholders can purchase these shares. There are some limitations for Private Corporation on issuing shares to public. Thus, such shares represent the connection between the shareholder and the corporation. They are like part owners of the corporation. Also, these shares can be transferred among individuals provided there is no restriction on the share transfer. Daily operations of the corporation are independent of their owners. These people have limited liability over the corporation’s daily operations. Shareholders are not responsible for the legal issues that a corporations faces. This includes taxes, legal cases and assets owned by a corporation. In some cases, the owners personally guarantee the taxes and debt obligations. So, here, these shareholders and owners can be held responsible for legal matters pertaining to the corporation. The personal assets of the shareholders cannot be used to cover the tax and debt obligations of a corporation. There is no shelf life of a corporation i.e. it can be run forever. After incorporation by initial shareholders or owners, the corporation can be run throughout their life span. Afterwards, new shareholders and owners can take the corporation forward. So, there is only change of ownership and no demise of the corporation. Business expansion is much easier in corporation model as compared to partnerships and sole proprietorship. Shares of the corporation can be issued to collect money and further this collection can be used for business expansion. Such model is very suitable for large businesses. Corporations enjoy many tax advantages over other business models. For example, the concept of tax deferral strategies and income splitting are common among large corporations. Corporate tax is a subject in itself. We excel in corporate tax. A Corporation is subjected to dual income taxes. First the owners have to file collective tax for the whole corporation. Secondly, they have to pay tax on their personal incomes arising from the corporation. The initial setup charges and the registering charges for corporations are higher. Compared to this sole proprietorship and business partnership models do not cost much initially. Large corporations are further subjected to complicated setup procedures and tough regulations. They have to pass several legal hurdles before doing actual business. It is important that every corporation maintains a corporate law book. It is obligatory that all the corporate bylaws and excerpts from the annual meetings be mentioned clearly in this book. For Expert Legal Advice For Your Business, Count On Our Experienced Lawyers. Every corporation has to deal with a lot of legal aspects. It is vital that an experienced corporate lawyer guides you through the troubled waters of corporate business model. The legal obligations are diverse. It is recommended that a reputed corporate lawyer takes care of all the legal aspects of your corporation. Shareholders own the corporation. On the other hand, directors and officers mange and run a corporation. Each one of these individuals has a different set of responsibilities when it comes to the day-to-day operations of the corporation. Shareholders own shares issued by the corporation and thus are the owners of the corporation. Some shares have voting rights. So, owners of these shares have voting rights in the matters of the corporation. For example, director of the corporation is selected through voting by majority shareholders. Also, dissolution or sale of business may involve voting. Shareholders do not take part in the daily operations of the corporation. However, if a shareholder happens to be the director or officer, he has to run the whole show. Prominent influence of shareholders is exercised through the sale and purchase of corporate shares making them quiet powerful during board/shareholder’s annual meetings. The business operations of a corporation are headed by a director. Sometimes more than one director may be chosen to spear head the responsibility. Directors further select the officers who make the management of the company. The business prospects such as budget and daily operations are seen collectively by management and the directors. The decision to issue shares of the company is also taken collectively by the management and the directors. Daily activities of the business are handled by officers. Officers in a corporation include the vice-president and the president. Further ranks of the officers depend on the corporation’s size and operations realm. The work profiles of the officers are defined well in the by-laws of the corporation. Articles of Incorporation state the number of directors in the corporation. It is mandatory that every corporation has at least one shareholder and one director at the very least. In case of small corporations, one person may hold all the positions and subsequently hold all the responsibilities. The most important benefit of owning a corporation is that shareholders and directors cannot be held legally responsible for the debt and tax obligations of the corporation. In case a shareholder or director has given personal guarantee for a loan/debt, then he/she has all the responsibility regarding the tax and debt obligations. 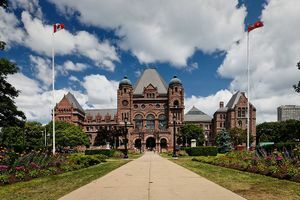 For example, if the HST or corporate income tax has not been paid by the corporation, the concerned shareholder will be held personally responsible for the payment. Directors and Officers Liability Insurance is one way of hedging against any legal hurdles posed to the officers and directors. This protects them from being held responsible for the corporation’s tax and debt obligations. On the other hand, shareholders are never held responsible for the corporation’s debt unless they have provided a personal guarantee. With a wide experience in corporate law our legal experts have successfully solved various complicated cases. This makes Nanda and Associates a renowned name in business and corporate law. Call us today for customized, cost-effective and practical solutions for all your legal matters. I would like to thank Mr and Mrs Nanda and associates for all the hard work they did on our behalf and closed the deal. How will Ottawa’s proposed tax changes affect businesses?